Underworld, meet the real world -or- The Dog of Hell is about to be...leashed -or, simply - School is Hell. R to L (Japanese Style). "The Shout of the Soul" At long last, Nora and Kazuma face Fall in a final battle. But not only is Fall overwhelmingly powerful, he surprises our heroes by taking the battle to the Human World! 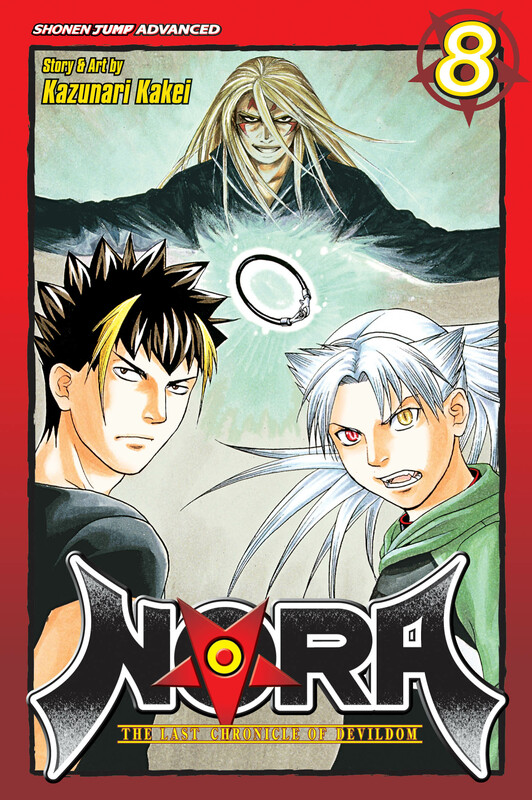 Will changing into Cerberus give Nora the power he needs to face Fall's true form and stop the demonic invasion of Earth, or will Kazuma be forced to make a brutal sacrifice? Nora, an unruly demon, has defied his superiors one too many times. For the sake of his "education," Nora is sent to live among mortals and enters a bond of servitude with cool-as-ice star student Kazuma Makkari. Kazuma is about to learn the ways of the underworld...and Nora will learn more from the "real world" than he ever thought possible!